Helena (that’s what I will call her here) was a mature lady with a strong Pentecostal background. She had been with our church for several years when she enrolled for a series of teachings on deliverance run by another church. What had happened was that the course lecturer had listed symptoms that purportedly indicated that a person was demonised. One of them was ‘a glint in the eye’. I have a good sense of humour and I am told that my eyes often twinkle when I hear something amusing or am telling a funny story. Helena had latched onto this and blurted out to the group that her pastor had a ‘glinty’ eye and so must be demonised. I am glad to say that my sense of humour did not desert me on that occasion and my eyes undoubtedly twinkled as I explained to the dear lady the difference between humour and hellfire. We remained on good terms and enjoyed fellowship for many years after that. 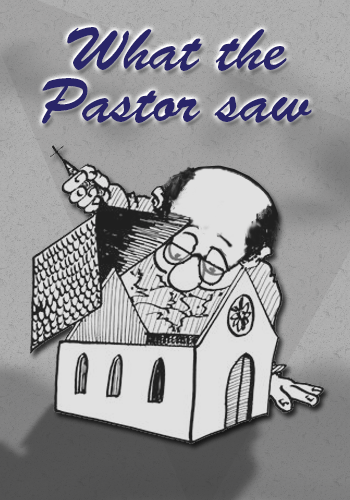 You would think that the main lesson to be learned from this incident was, ‘don’t go bad-mouthing someone else and certainly don’t accuse your pastor of being possessed.’ Perhaps it is, but my take away was different – don’t pay too much attention to lists that are derived from experience rather than from scripture. Far too many ‘teachers’ develop doctrine and practice from their own experiences and the accounts of others. This is an unreliable source; it is far better to take what we teach directly from the Bible and what Jesus modelled through his teachings, actions and character.